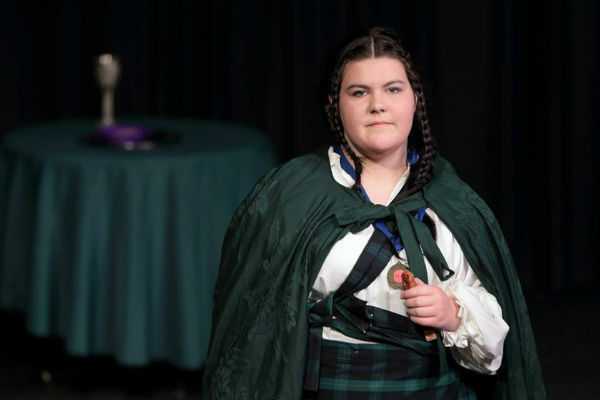 The Australian production of my script THE ONE-WORD MACBETH continues to rack up awards as it makes its way through the spring circuit (it’s spring to them) of the Victorian Drama League festivals. It’s always a pleasure travelling to Kyneton for their One Act Play festival, amidst the Spring weather and the plenitudes of daffodils everywhere. This year the festival returned to the beloved Bluestone Theatre, host to so many wonderful plays in the past, and 2015 was no exception. Thank you to everyone for such a lovely time! 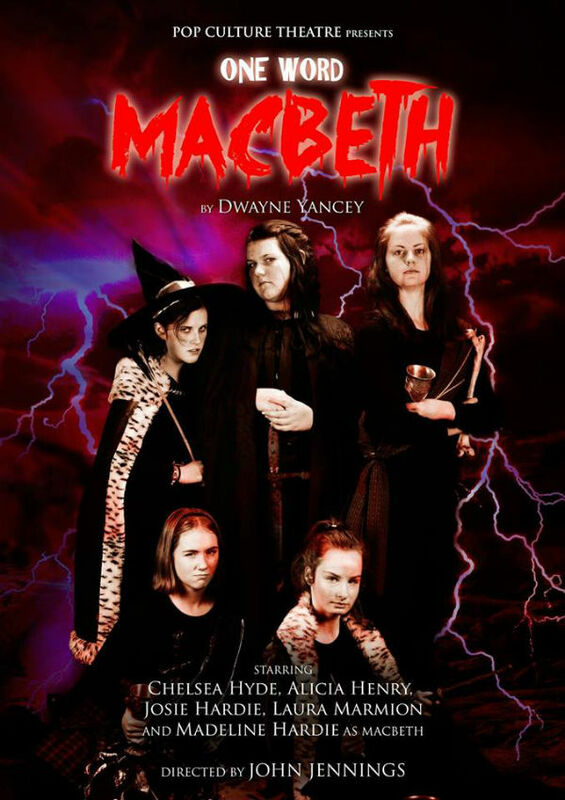 Kyneton also saw the final festival performance of our youth performers in “One Word Macbeth”. And as a final parting shot, they earned themselves a nice batch of awards! The Melbourne theatre company Pop Culture Theatre is producing my one-act THE ONE WORD MACBETH to enter in festivals around the state of Victoria over the coming months. The first production was July 25 in Macedon, Victoria. A cold weekend up in Macedon – cold, but fun! The Mount Players put on a great festival and were very welcoming to PCT for only our second outing down that way. All four of our plays went over well, as adjudicator Ray Hare was more than happy to tell all. “PCT strikes again!” he said, frequently, complementing us on our fine work, meeting the theatrical challenges of our scripts with nuanced performances and poignancy. All his words. 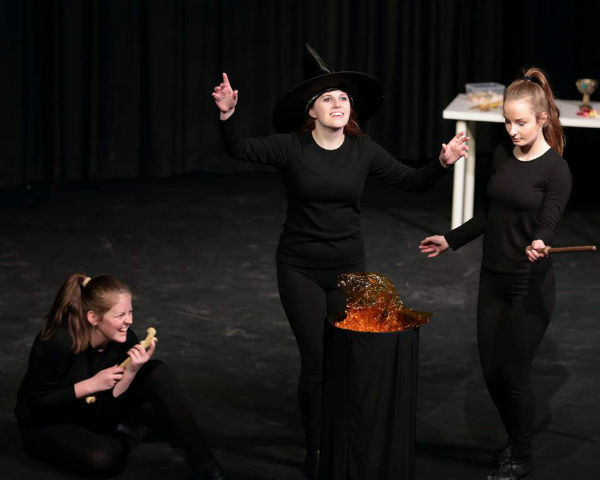 This weekend also saw our youth group hit the stage for the first time, with “One Word Macbeth”. And as you’ll see from the results, the kids sure came out swinging! The Adjudicator chose not to give Adjudication awards. Congratulations to all winners and nominees, and to all for another great festival. Now we have a short break before heading down to Foster in August for the South Gippsland Festival! Stay tuned for details about dates! We are very proud of our girls. The adjudicator noted that on your description you called it a play for 10, 12 or 14. You may wish to revise that as it is very much possible with just 5. They smashed it. 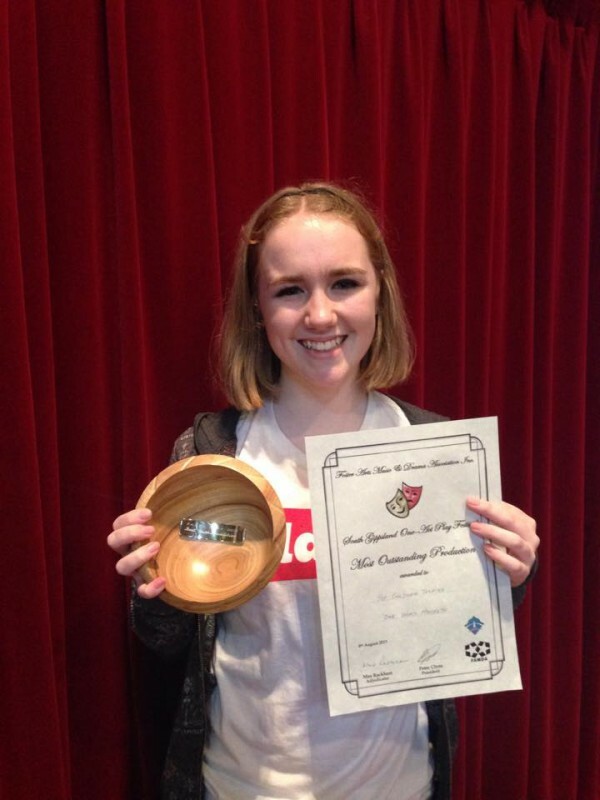 The adjudicator refused to split the Best Youth Actress Award and so gave it to them jointly. They were also nominated for Best Production. Not Best Youth Production, but in the overall category. And the audience loved it. Festivals are very much a theatre crowd and so everyone knows what is going on which makes the ‘Tomorrow’ section so funny. A great close-up of Macbeth.